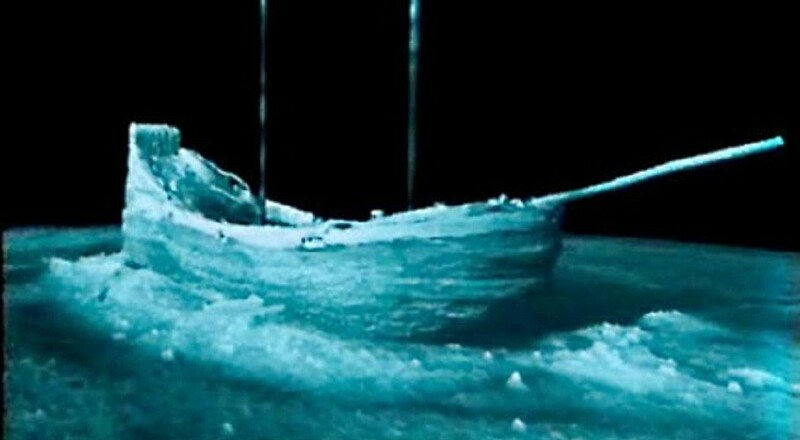 A multinational team worked with documentary film makers Deep Sea Productions to document a wreck that appeared to be an intact Dutch fluit of the early 17th century. Lying 30 nautical miles east of the island of Gotska in 125 meters of water, the vessel has been preserved by the Baltic’s unique conditions of near-fresh, cold water. The hull is approximately 25 by 8 meters in size, and is ornately decorated with carved figures. 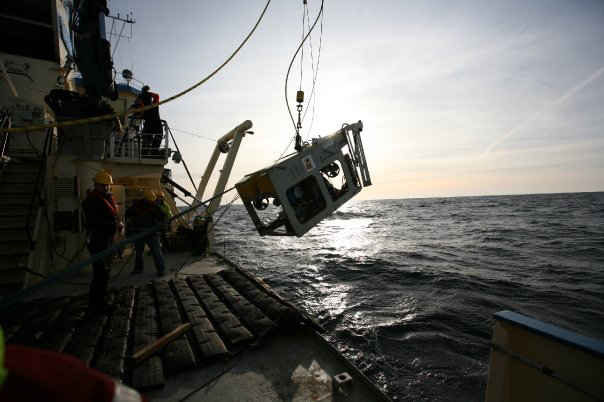 ABOVE: Lowering the ROV into the water (Photo: Griffin 2008).